Eugene Gladstone O'Neill (October 16, 1888 – November 27, 1953) was an American playwright. He was awarded the Nobel Prize in Literature in 1936. He won four Pulitzer Prizes throughout the 1920s and one even after his death in 1957. O'Neill was born on October 16, 1888 in a hotel room in New York City, New York. He studied at Princeton University and at Harvard University. O'Neill's parents were immigrants from Ireland. O'Neill's best-known stage works include, Anna Christie (for which he won the Pulitzer Prize, 1922), Desire Under the Elms (1924), Strange Interlude (for which he won the Pulitzer Prize, 1928), Mourning Becomes Electra (1931), and his only well-known comedy, Ah, Wilderness! (1933). O'Neill won the Nobel Prize in Literature in 1936. He won four Pulitzer Prize for Drama for his works on stage. O'Neill was married to Kathleen Jenkins from 1909 until they divorced in 1911. They had one son. Then, he was married to Agnes Boulton from 1918 until they divorced in 1929. They had one son and one daughter. A granddaughter from this marriage is the actress Geraldine Chaplin. After this divorce, he was married to Carlotta Monterey from 1929 until his death in 1953. O'Neill was an Agnostic. O'Neill was a anarchist socialist. O'Neill died on November 27, 1953 at a hotel room in Boston, Massachusetts from cerebellar cortical atrophy, a neurological disease. He was 65 years old. As he was dying, he whispered his last words: "I knew it. I knew it. Born in a hotel room and died in a hotel room." O'Neill, Eugene; Bogard, Travis (1988). Complete Plays 1913–1920. The Library of America. 40. New York: Literary Classics. ISBN 978-0-940450-48-6. O'Neill, Eugene; Bogard, Travis (1988). Complete Plays 1920–1931. The Library of America. 41. New York: Literary Classics. ISBN 978-0-940450-49-3. O'Neill, Eugene; Bogard, Travis (1988). Complete Plays 1932–1943. The Library of America. 42. New York: Literary Classics. ISBN 978-0-940450-50-9. ↑ Arthur Gelb (1957-10-17). "O'Neill's Birthplace Is Marked By Plaque at Times Square Site". The New York Times. p. 35. Retrieved 2008-11-13. ↑ John Patrick Diggins (2010). Eugene O'Neill's America: Desire Under Democracy. ReadHowYouWant.com. p. 223. ISBN 9781459605916. O'Neill, an agnostic and an anarchist, maintained little hope in religion or politics and saw institutions not serving to preserve liberty but standing in the way of the birth of true freedom. 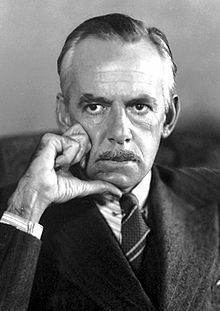 Wikimedia Commons has media related to Eugene O'Neill. This page was last changed on 15 March 2019, at 19:38.